The Irish Music Awards is an annual awards presentation hosted by the Irish Music Association to honor the best of the best in Irish Music. The Irish Music Awards promote and support Irish Music, and musicians worldwide. Email rtreeder@comcast.net for sponsorship opportunities. 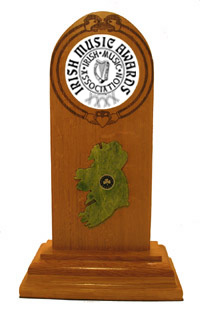 If you are an IMA musician member or a recipient of an IMA Award, submit your Irish Music performance event, date, time, and place, to info@irishmusicassociation.com for website publication. © 2003-2019 Irish Music Association. All rights reserved.